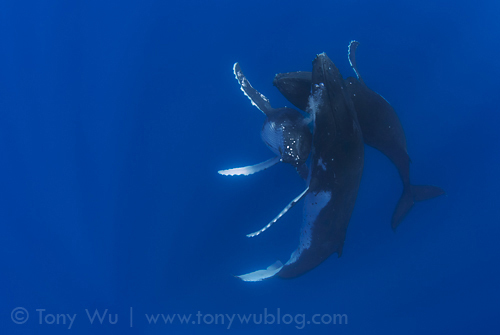 As I alluded to in my previous post, I've been working on a really special trip with my friend Jon Cornforth...a dual-hemisphere humpback whale extravaganza in the summer of 2012. The basic idea is to travel with a small group of people to two prime humpback areas...Alaska in the northern hemisphere and Tonga in the southern hemisphere...to see these amazing animals up close, learn first-hand about their behaviours, and capture great photographs along the way. At the risk of sounding overenthusiastic...this will be an epic experience! Jon and I have put in a lot of time in Alaska and Tonga, respectively, so by traveling with us, you'll benefit from the lessons we've learned and wisdom(?) we've accumulated, thereby getting the most out of your time with the whales. A trip outline follows below. Please contact either Jon or me if you're interested. Description: A unique opportunity to witness and photograph a comprehensive range of humpback whale behaviour in two hemispheres, led by guides Jon Cornforth and Tony Wu. 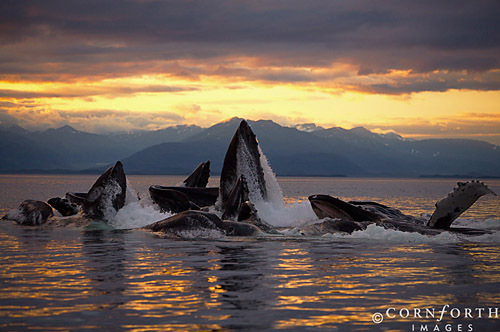 We'll start with a 10-day trip in Southeast Alaska to photograph feeding and bubble-net behaviour. 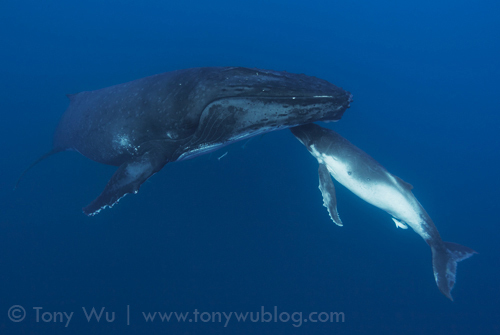 After a short break, we'll reconvene for eight days of in-water encounters with humpback whales in the Kingdom of Tonga, where we'll be looking for humpback mothers with babies, singing whales, heat runs and other mating/ calving-related activities. Jon and I have designed this unique trip with the goal of taking a small, exclusive group of six people to see and learn about a wide range of humpback whale behaviour, putting Jon's five seasons of experience with humpbacks in Alaska and my ten whale seasons in Tonga to good use. Given our photographic backgrounds, Jon and I will emphasize getting you to the best places and circumstances to take great photographs. Of course, you don't have to be a photographer to enjoy this ultimate cetacean adventure, but you'd be hard-pressed to find a better opportunity to capture eye-popping images of everything from the pandemonium of bubble-net feeding to the unmistakeable affection between a mother and baby whale. Instead of watching the action in a documentary, you can see and experience it live! 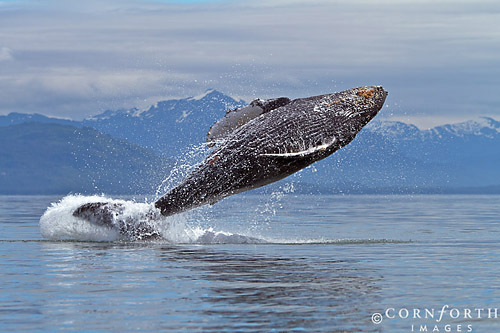 Logistics: Our plan in Alaska is to be based on a comfortable 54-foot liveaboard and cruise from Juneau to prime humpback territory, where we'll move around quietly on inflatables to position ourselves for front-row seats for whale action. Summer days are long up north, so we'll go out and stay out so long as the weather, light and our stamina hold out. We will not be getting into the water in Alaska. In Tonga, we'll be based on land, going out each morning to look for whales, and returning in the afternoons to relax, share pictures and talk about the day's experiences. We will be getting into the water when circumstances permit, so while you don't have to be an expert swimmer, you should be comfortable swimming in open ocean with mask, snorkel and fins. Target Dates: 23 July to 1 August 2012 in Alaska (10 days on the water). 21 to 28 August 2012 in Tonga (8 days on the water). We're still ironing out logistics, so there is some possibility of dates shifting a little bit. Participants: There are six places open for both trips (Trip fully booked.). Ideally, we'd like to share this unique north-south adventure with the same six people. Observing such a comprehensive set of humpback whale behaviours will give us a lot to talk about, and there will no doubt be many opportunities to compare notes relating to what we witness in the two locations. In addition, Jon and I will be able to provide perspective and context from our experiences during previous seasons. Of course, we realise that there may be people who are interested in only one part of the trip. If you find yourself in this situation, please let me know. We will do what we can to accommodate individual circumstances. Contact: If you're interested, please get in touch with me via my Contact Form, or with Jon via his Contact Form.